The auto experts at Big D Express Lube provide exceptional service to keep your car, truck or RV running smoothly. We offer premier Pennzoil and Shell oil and filters, with the option to upgrade to semi or full synthetic oils. No appointment necessary! We’ll work while you wait! 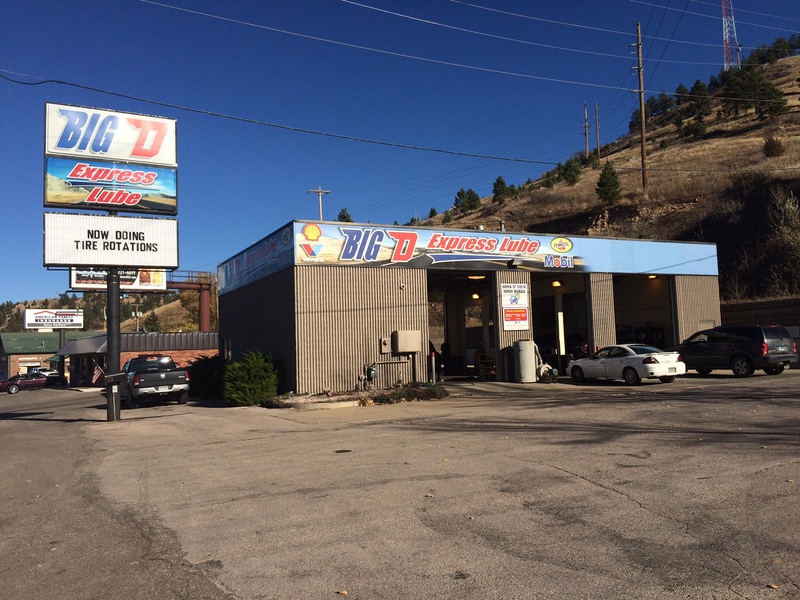 Big D Express Lube services are available at 2139 Jackson Blvd in Rapid City, SD. Monday-Friday 8 a.m. – 6 p.m.